*note: Like almost everything in the law, there are exceptions and nuances to this. **note: A new statute of limitations “accrues” (commences) with each new infringement. In theory, therefore, a copyright owner can become aware of an infringing use of her work and do nothing for an indefinite period of time – more than just three years – until, for example, she concludes that the infringer has earned profits that could be recovered as damages and therefore justify the cost of a lawsuit. At that point the copyright owner can file suit and the statute of limitations will come into play, but only to limit damages to the preceding three year period. However, if the copyright owner wins her case and the defendant doesn’t settle there is the possibility that the copyright owner will wait three years and then file another infringement suit based on infringing actions taken during the second three year period. And so on, ad infinitum (or so it will seem to the defendant, given the length of copyright protection). Until recently infringers were not wholly at the mercy of this strategy. They were able to raise the common law legal doctrine of “laches,” a doctrine which may bar a lawsuit based on an unreasonable, prejudicial delay in commencing suit. In many cases defendants successfully arged that a copyright owner should not be permitted to wait beyond three years before filing an infringement suit. These two legal principles — the three-year copyright statute of limitations and the laches doctrine — came into collision when Paulla Petrella brought a copyright suit against MGM. Since 1981 Petrella has been the heir to her father Frank Petrella’s copyright interest in a book and two screenplays about the life of Jake LaMotta, the central character portrayed in the film Raging Bull. 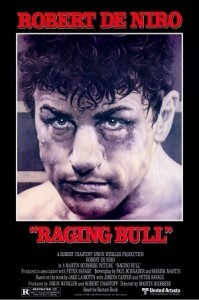 She asserts that Raging Bull is a derivative work of the book and screenplays, and that she is entitled to royalties based on MGM’s distribution of the film during the three years preceding her suit. Ms. Petrella had threatened MGM with a suit for copyright infringement as far back as 1998, but she didn’t actually file suit until 2009. 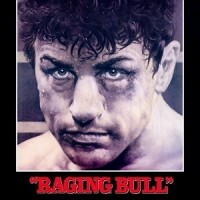 In fact, Raging Bull was released in 1980, and there is evidence that Ms. Petrella was aware of her copyright infringement claim as far back as 1981, in which case she delayed for almost 30 years before filing suit for copyright infringement. MGM raised the defense of laches, and the Ninth Circuit Court of Appeals agreed, dismissing the suit. The Supreme Court took the case and reversed in a 6-3 decision, holding that, except in “extraordinary circumstances,” laches cannot be invoked to preclude a claim for damages that falls within the three-year window. However, this was not a clear win for Petrella or others in her position: oddly, the Court held that delay is relevant to equitable relief which (the Court stated), includes not only an injunction against further public display or distribution of the copyrighted work, but also damages based on the infringer’s profits that are attributable to the infringement. Whether this decision leads to a flood of hitherto dormant copyright suits remains to be seen, and may be influenced by how the lower courts interpret and apply the decision. For example, given the Supreme Court’s comments it is uncertain that Ms. Petrella will be able to obtain an injunction against future sales of Raging Bull, and the Court’s statement that a delay in bringing suit is relevant to determining damages based on MGM’s profits during the three year period may limit any recovery by allowing MGM to use its investment in the film prior to the three-year look-back period to offset profits earned during those three years. Therefore, the extent of any potential monetary recovery is unclear. *note: Although, as discussed above, assuming Petrella establishes liability (an issue yet to be addressed in this case) and MGM continues to distribute the film, in theory Petrella could file a series of lawsuits every three years seeking MGM’s profits for the preceding three year period. After the first suit MGM would be on notice that it is exploiting a copyright-protected work, and would likely have little choice but to to settle the case, rather than have this sword of Damocles hanging over its head. Many observers in the copyright community think that Petrella may lead to a wave of lawsuits by copyright holders who had assumed, until now, that their claims might be barred by laches. A prominent example suggesting this may be the case is the May 31, 2014 lawsuit filed by the Randy Craig Wolfe Trust against the members of Led Zeppelin. 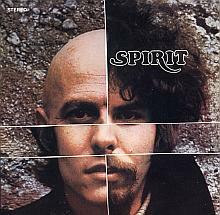 Wolfe, the deceased founder and creative force behind the band Spirit, had believed since the mid-’90s (and perhaps as far back as 1971) that the intro to Stairway to Heaven had been copied from Taurus, a song on a Spirit album released in 1968. It seems unlikely that this case, filed less than two weeks after the Petrella decision, was not encouraged by the outcome in Petrella. Petrella could also have implications for application of the laches doctrine under patent law. As the Supreme Court noted in Petrella, the Federal Circuit has held that laches may be used to bar patent damages prior to the actual commencement of suit. The courts may conclude that the rationale of the Supreme Court in Petrella applies under the patent statute as well, making it easier for patent plaintiffs to take advantage of the full six year statute of limitations under the patent statute.